Today I want to mention an issue that has been around forever, and warn you about a sloppy solution that is most-often recommended by real estate agents involved in the transaction. The issue in question is how to best handle occupancy prior to closing in a real estate transaction. When a buyer needs the ability to take occupancy prior to the actual date of closing on the property, a document is needed to make sure that both parties are protected from the various things that can go wrong in a real estate transaction. The most common solution that I have seen for more than 20 years in the Tallahassee real estate market is that both parties execute a simple addendum to the contract which allows for the occupancy prior to closing. This is a great mistake. Sometimes the need for occupancy prior to closing is known when the original contract is written, but often times it occurs during the due-diligence period prior to closing. It is not uncommon for a real estate transaction to have hiccups along the way, which for some situations can result in an inability to meet the planned closing date. Perhaps an issue with transferring the title to the property or a delay required by the lender, or many times a condition on the home requires repairs, thus the closing date is no longer feasible and a change is in order. Ask any great real estate attorney, the best way to handle this problem is with a full residential lease agreement. The important thing to remember is that we do contracts and legal agreements for a reason. While it is simple to explain in an addendum that the buyer will occupy the property prior to closing, both the home seller and homebuyer need additional protection to cover situations that could arise should things not go as planned. 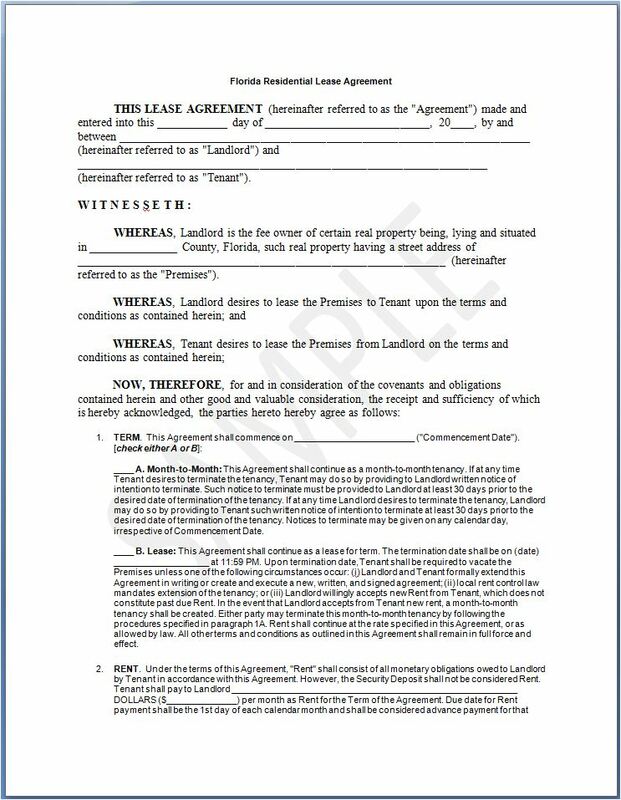 A full residential lease agreement allows the landlord-tenant act to come into play, and will most often provide remedies for the situations that can arise that are not covered in a mere addendum to the sales contract. So if you are buying or selling a home and require language for occupancy prior to closing, make sure that a full-blown residential lease agreement accompanies the sales contract to ensure that all parties are protected. Because of the "non-standard" nature of this situation, I strongly advise my clients to have the lease agreement drafted by a real estate attorney (specifically somebody whose practice is real estate law).